Show off your business cards in style with this beautiful two-tone wooden business card holder. The base has a deep cherry finish, which is offset by the maple finished cover. 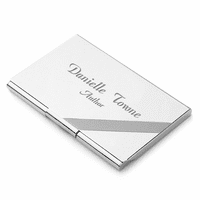 Add a laser engraved inscription to the cover free of charge. 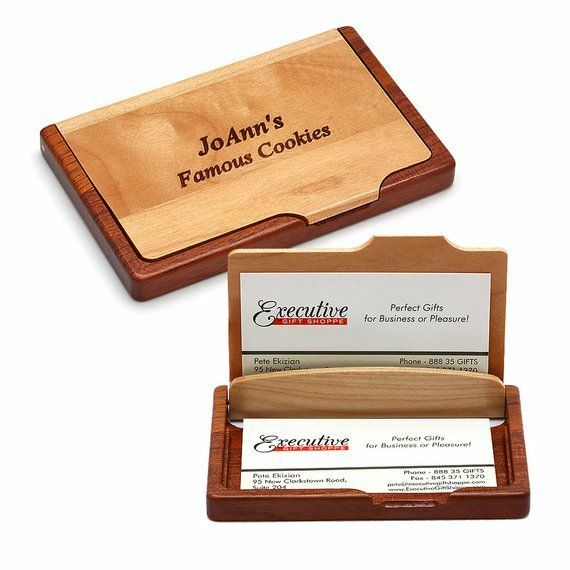 A popular personalization choice is the recipient's name on line one and their company on line two, but you can get as creative as you'd like! 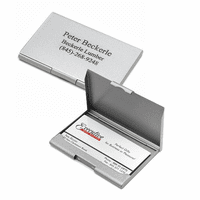 It holds up to ten standard business cards and can be used as either a desktop card holder or a pocket card holder. Can a logo also be engraved on this case? 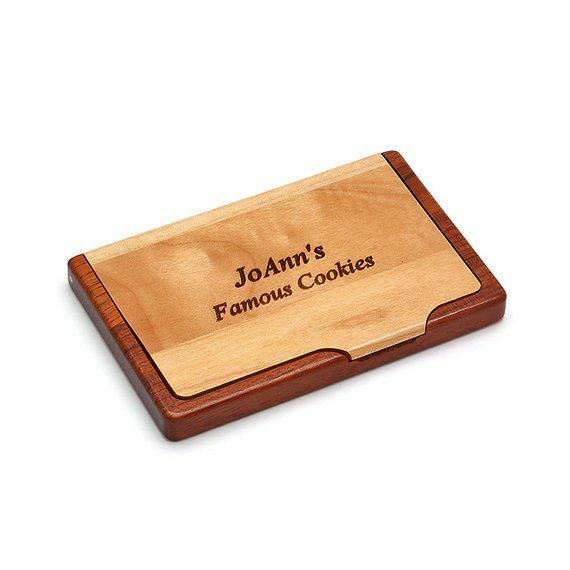 How can I order 14 of these business card holders with different personalized engraving and have a group order to save on shipping? Add the first card holder to the shopping cart and then press the "Keep Shopping" button. This will bring you back to the item page so you can add the next, with different engraving. Repeat this until all of the card holders you need are in the shopping cart. Then you can check out. ConsSuggestion is to engrave name upside down from how it is done now. Otherwise when the holder is left open on the desk to show cards, the name shows upside down to anyone sitting across the desk. Prompt delivery. Perfect engraving. Great quality. I purchased this as a gift, for a dear friend. The engraving was well done. 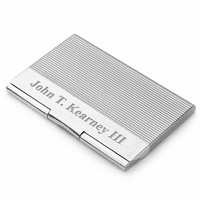 My friend was thrilled with the business card holder. It arrived quickly. I'm pleased with the quality, and would recommend executive gifts to my friends. Awesome Product. Worth The money. Awesome Product. Worth The money. Fast shipping. 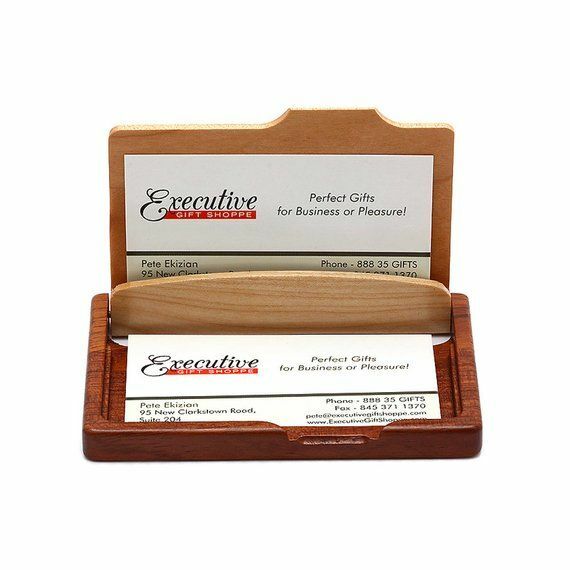 This business card holder was a beautiful gift and great quality. Beautifully designed and well made. 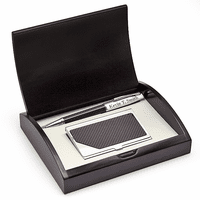 The product was delivered in a timely manner and in great condition.